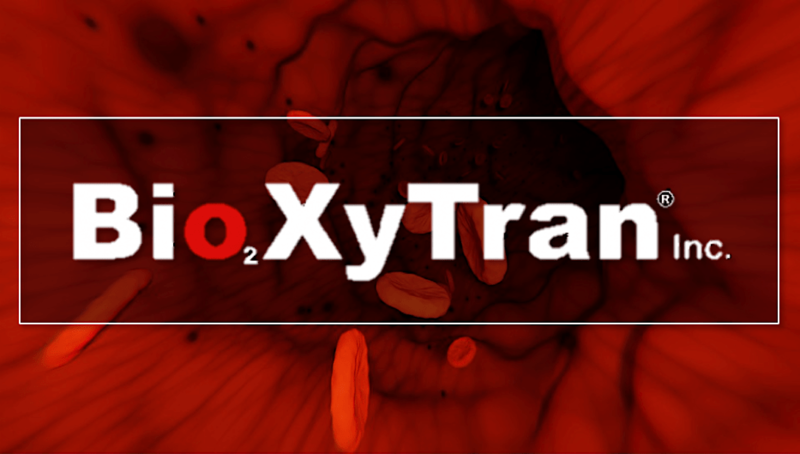 Avise Analytics | BXT-25-CAN BIOXYTRAN INC'S NOVEL DRUG REVOLUTIONIZE OXYGEN DELIVERY? BioXyTran, Inc. (OTCMKTS: BIXT) a development stage biotechnology company treats the “Golden Hour” as mission critical. 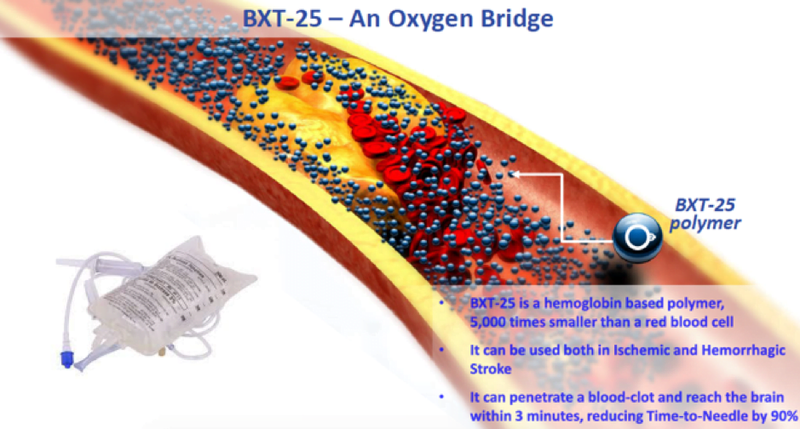 BXT-25 – CAN BIOXYTRAN INC’S NOVEL DRUG REVOLUTIONIZE OXYGEN DELIVERY? 31 Jan BXT-25 – CAN BIOXYTRAN INC’S NOVEL DRUG REVOLUTIONIZE OXYGEN DELIVERY? In the event of a brain stroke, the brain loses 32,000 neurons, 230 million synapses, 200 meters/220 yards of myelinated fibers and ages by 8.7 hours for EACH SECOND it is oxygen deprived. It is no wonder then that medical and emergency care practitioners lay a lot of emphases on the “Golden Hour”. In spite of the many breakthroughs in medical science and rapid advancement of technology, it still takes an estimated 2.5 hours from the onset of a stroke till the removal of blockage and restoration of oxygen supply. The current therapeutic options aim at the dissolution or removal of the blood clot. It invariably needs an MRI, costing precious time, which is already in short supply. Presently, there are no drugs that can overcome this limitation by rapidly restoring oxygen supply to the brain. However, BioXyTran, Inc. (OTCPK: BIXT) a development stage biotechnology company treats the “Golden Hour” as mission critical. “Time is literally brain tissue. The longer patients wait before the flow of oxygen to impacted areas is restored, the worse the outcomes can be”, states David Platt, PhD and CEO of Bioxytran, Inc.
What is the company’s Motivation? Need for treatments that can be quickly deployed to save critical brain tissue from oxygen starvation. “We are enthusiastic about our stroke treatment program for patients in the ‘golden first hour after stroke,’ to save the part of the brain which does not get oxygen” he states. “Many people miss this key brain-saving treatment because they don’t arrive at the hospital in time for alteplase treatment,” said Platt, “which is why it’s so important to identify a stroke and seek treatment immediately for the best possible chance at a full recovery.”, he added. Dr. David Platt, a medicinal and PhD chemist, with over 40 years of experience and a world-renowned carbohydrate chemistry expert, brings in a very high level of expertise in drug development owing to his valuable experience. Besides being the founder of Boston Therapeutics Inc., Pro-Pharmaceuticals and International Gene Group, he has also led the development of two drug candidates from concept through phase II trials stage. Under his stewardship, the company is developing BXT-25, a hemoglobin-based polymer that is 5000-times smaller than a red blood cell and can penetrate a blood-clot and reach the brain within 3 minutes. It can be used for both Ischemic and Hemorrhagic strokes reducing time-to-needle by a whopping 90%. In addition, the company is also planning to license and develop its FDA-approved OXY-SENSE technology that can measure oxygen delivery to the brain in real-time. In the pipeline are BXT-251 that can prolong extracorporeal circulation in cases of organ donation, BXT-252 for Ischemic wound healing, BXT-253 for Angioplasty and Cardiac Revascularization and BXT-254 for Human Nasopharyngeal Carcinoma. “I’ve never been more excited about our future as a company or have felt that we are in a better position than we are in today,” said Platt. “Overall, BioXyTran has made significant strides in business development,” the CEO opined. The company intends to submit an Investigational New Drug Application (IND) to the Food and Drug Administration (FDA) and initiate clinical trials. BioXyTran is planning a comprehensive study of the drugs applications in not only supplying oxygen in cases of hypoxia but also recovery of brain cells in the aftermath of a stroke. “We anticipate exciting new developments in each of the programs in our promising portfolio of compounds to treat stroke patients,” Platt said. The company has its tasks cut out for it in 2019. It aims to keep up the same momentum and focus on value creating clinical investigations and forging meaningful and beneficial business collaborations. - WILL THE CHINA CONUNDRUM BE APPLE'S UNDOING?